this post for yaki manju was originally posted in jan 2014! it’s been updated with some new pictures and new recipe copy. yaki manju is one of those desserts that might be an acquired taste for some. it has beans, and yes, it’s a dessert. however, it’s still pretty tame, and i’d recommend it for anyone who wants to dip their toes into japanese desserts. i made it for my dad’s co-workers once, and they loved it (or so they said; they’re very nice ladies who happen to be moms, so i can’t say for certain if they actually liked them). yaki manju is kind of like a japanese turnover. you have a flaky dough that’s not unlike pie crust on the outside. 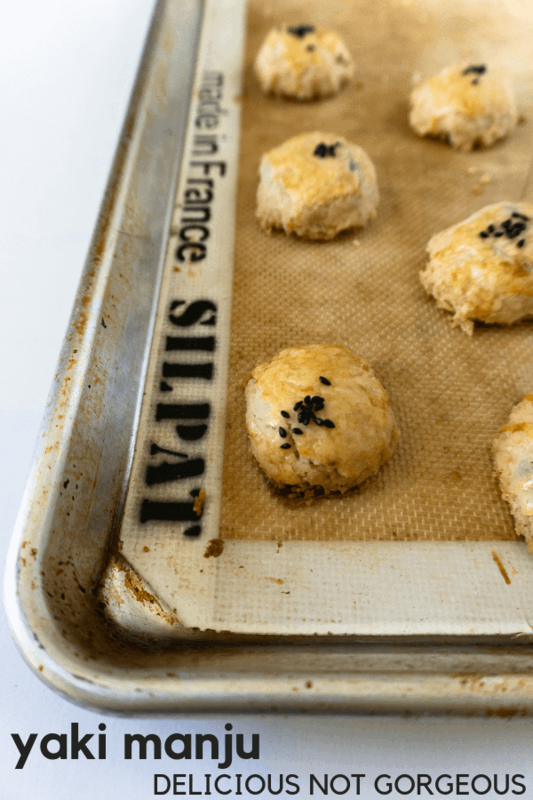 this manju uses a super delicate dough that shatters on contact and isn’t that great for long transports. 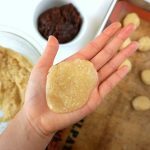 at the bay area buddhist temples, they use a heartier dough that, while isn’t as tasty (in my opinion), holds up a lot better and is easier and faster to work with. tl;dr: this is a flaky manju, compared to the breadier, denser manju that’s out there. the inside is filled with sweet red bean paste. there are two types that i’ve used before: tsubushian and koshian. tsubushian is a sweetened bean paste made from red beans (adzuki beans). it’s more of a coarse paste, so there’s bits of bean and skin present. koshian is a smoother paste that has the bean skins taken out. i like tsubushian, as i think it’s more interesting that koshian. you can use either. i know a number of japanese moms and obachans who make their own, but i’m lazy and buy mine from my local asian supermarket. i usually buy the type that is stored in a plastic bag that looks like this. (update: apparently there’s tsubuan and tsubushian, which you can read about here). you can also fill the yaki manju with lima bean paste. i’ve never cared for lima beans, so i’ve never used it to fill my manju. however, here’s a recipe for lima bean paste (shiro-an) that looks good if you’d like to try it, though i bet you could find a store bought one if you’d like. 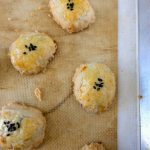 Yaki manju is a flaky, buttery Japanese dessert filled with sweet beans. Mix the flour, sugar and salt. Mix the oil and water (don't worry if it doesn't combine- it's oil and water). Add to the flour and mix until well blended. It will seem pretty wet and oily. 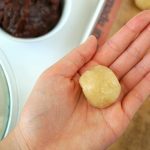 If you have time: refrigerate this for 15-30 minutes before assembling the manju so the dough is firmer and easier to work with (rather than mush that sticks to your hands). Divide the dough into 24 pieces. Using 1 piece of dough at a time, flatten it in your palm. Place 1 heaping tsp tsubushian or koshian in the center. Wrap the dough (don’t worry if it breaks or isn’t smooth- you can patch it together) around the red bean paste until you can only see the dough. Flatten slightly and place on a baking sheet (they don’t spread much, so you can place them close together). Brush with egg wash. If you’d like, sprinkle with sesame seeds. Refrigerate the pans while you wait for the oven to preheat. Bake at 400F for 30-35 minutes, or until golden brown. 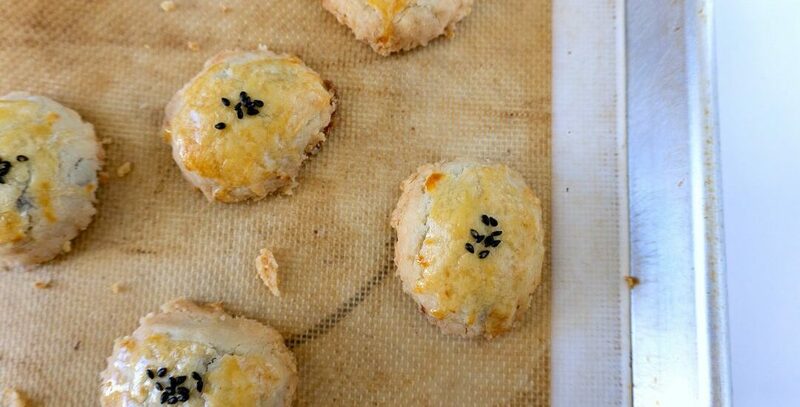 Don't freak out if they're a little cracked and crumbly; they're still delicious. Cool slightly, then move to a baking rack to cool completely. The manju will keep at room temperature for 1 week. Keep the dough as cold as you can! 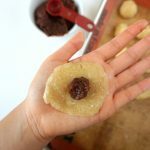 Using cold oil (I try to measure it out and put it in the fridge for 10-15 minutes before using) and refrigerating the dough once it’s mixed makes this dough firmer and easier to use when you’re trying to encase the red bean paste. You can ignore the egg wash if you're keeping these vegan. yaki manju is a japanese pastry (though i’m not sure what the direct translation would be). it’s super flaky and you can fill it with whatever you want! my personal favorite is red bean (: glad you liked it! I love this yakimanju! Friends who are from Hawaii made this for me and gave me this recipe. 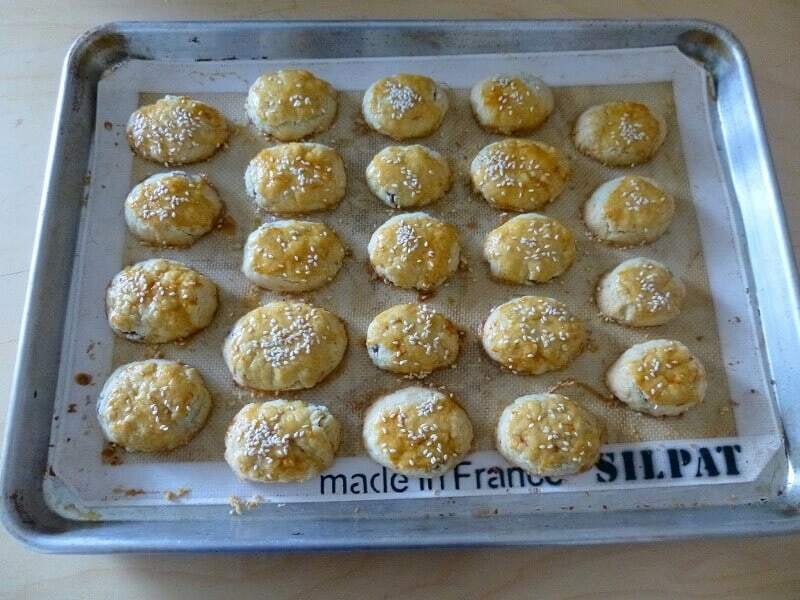 So easy to make and really delicious 🙂 Thanks! This looks like such a yummy Japanese dessert! And that bean paste doesn’t scare me!! The way you described the taste of these has me drooling!! I haven’t had yaki manju before. I love desserts though! I love that it is so delicate, kinda like a croissant. Thanks for sharing! This looks so interesting,Heather! 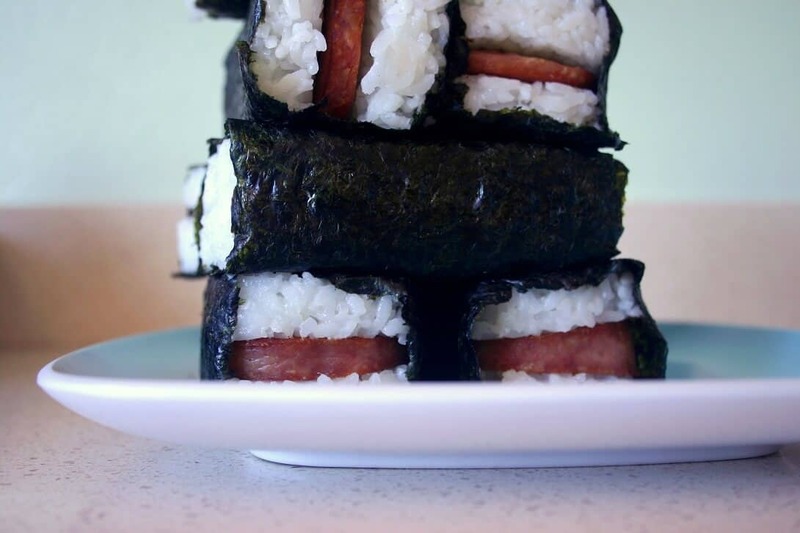 My son is a big fan of Japanese food and desserts, so he would definitely enjoy these! Thanks for the recipe! i haven’t found these in bakeries around the bay area, but time to look harder! (; thanks maria. These kind of remind me of some things we eat when we go for dim sum. And we like them very much! oooh yes- it has the delicate pastry like the char siu rolls (the baked flaky pastry wrapped around bbq pork), with the sweet filling of jian dui (the chewy fried dessert rolled in sesame seeds). they’re the perfect 2 bite dessert (: thanks romain! Yum, what a wonderful looking treat. I’m all about trying new desserts, and these sound great Heather! So curious about the bean filling! I’ve always been scared to give red bean paste a try… but these yaki manju are just so cute, I think I wouldn’t be able to resist trying one. 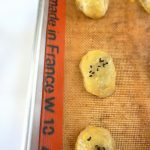 And I am loving the step-by-step photos in the recipe! oh these are perfect for your first red bean foray then! the pastry mellows the red bean out a little, and honestly, the red bean’s a little bit starchy and sweet but not funky beyond that.